I want to apologize for my lack of blogging in the last month. I need to learn to balance work and personal time. I've been busy with interior design jobs and needed to step back for a little while. I will be more consistent, I promise. I was inspired to bring you some beautiful art that can be found on Etsy right now. I love that original art can be so affordable and available to all. I want to stress that you should pick art because you love it, not because it matches your sofa! 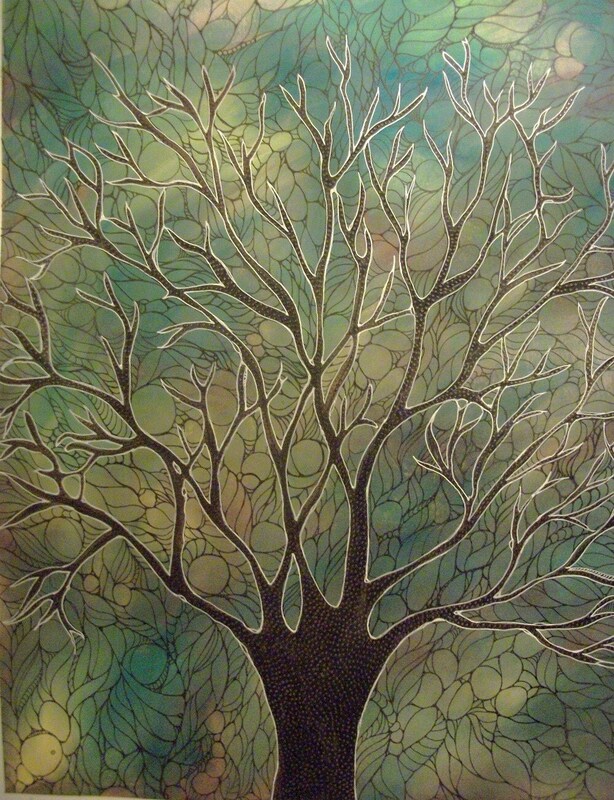 This art is a watercolor by Web of Creation. I love the colors and ink work on this lovely piece. I can't think of any place in your home that this wouldn't work. For someone looking for truly affordable art, consider an art print. This contemporary limited addition art print by Modern House Art might be what you are looking for. I love the texture and the pops of blue. This set of two original paintings caught my eye. I love the colors and the birds as a subject. This diptych entitled "Love Song" by the Painted Sky would look lovely over a sofa or above a headboard. 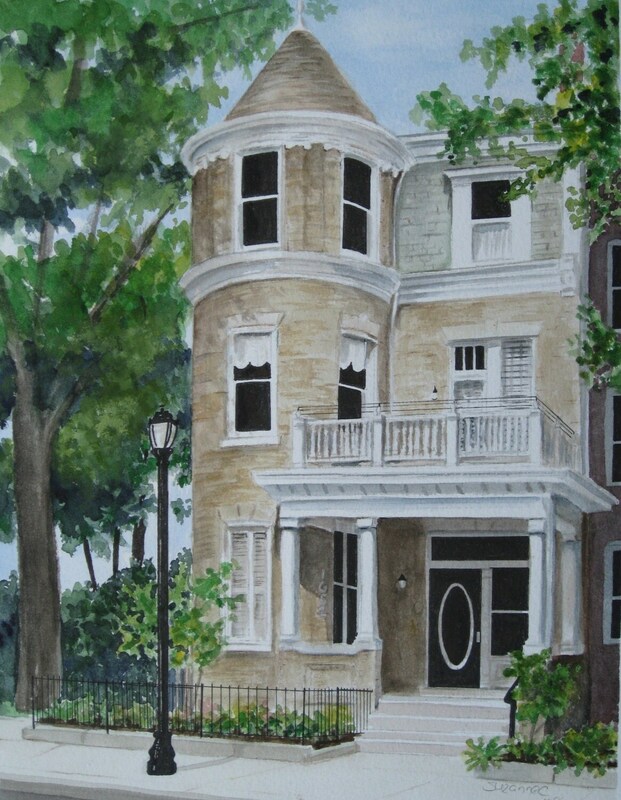 For a gift that will always be cherished, how about giving a custom watercolor of their beloved home? Artist Suzanne Churchill can make a commissioned piece of any home or building. I think this is the perfect gift for those that are hard to buy for and would be lovely as a housewarming present for someone who is beloved. For a formal space, how about this custom pet portrait? I love the playfulness of immortalizing your pet in a unique way. 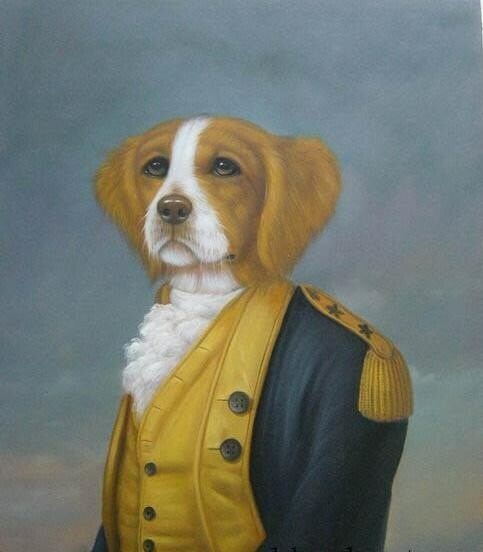 Omni Portraits can capture the personality of your animal. The possibilities are endless since they paint more than pets. Next time you need to buy some art for your place, remember Etsy. You can get an original piece of art for not much more than you can pay for a framed print some places. Support creativity and American artists! Oh that vanity is truly lovely! Congratulations on your AZ Magazine feature~well done. I just love that doggy painting! Thank you so much for featuring my Love Song painting on you gorgeous blog! It looks so pretty here!